Our shooting schedule resumes on October 4th, and our F/X department has been very busy getting the werewolves ready for the camera! Thanks to our generous supporters, we’ll be able to mechanize the masks worn by actors as well as build the fully robotic werewolves. This is great news for us, as creature makeups with long muzzles generally have a very difficult time when trying to achieve natural-looking expressions. Being able to incorporate some robotics into the masks means that our actors will be able to both snarl and bite when they are suited up! Sculpt for the underskull of a werewolf mask. 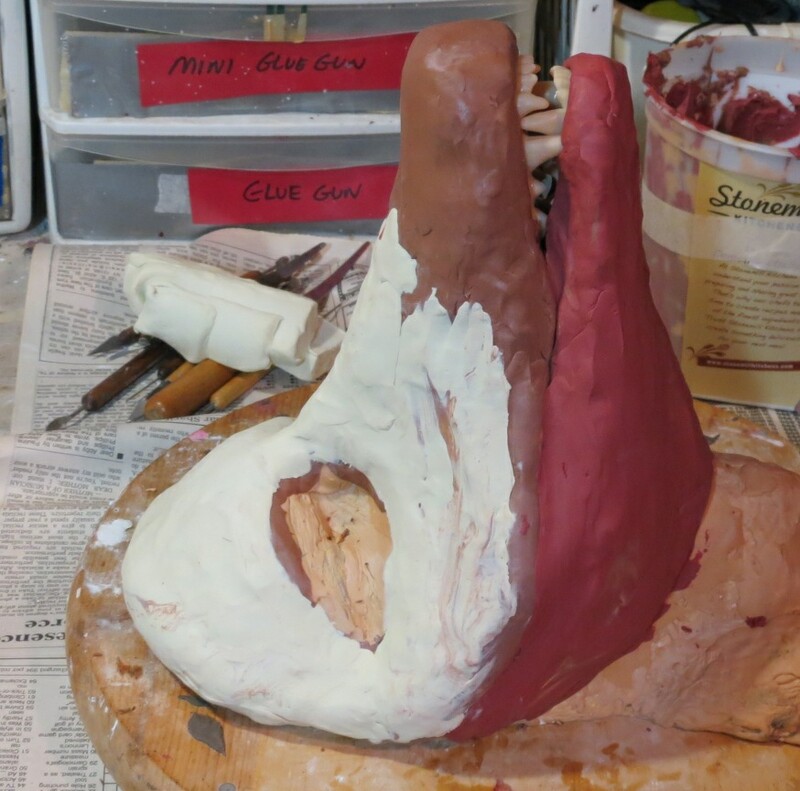 This will later be cast in fiberglass to create a platform on which all the electronic pieces will be attached before the “skin” is put over it.